As much as I do try to implement all the normal methods parents use to convince their kids to eat vegetables, the reality is I’ve had the most luck with plain old trickery. My kids think vegetables are a great snack. In fact, they try to be sneaky and pull them out when I’m not paying attention. 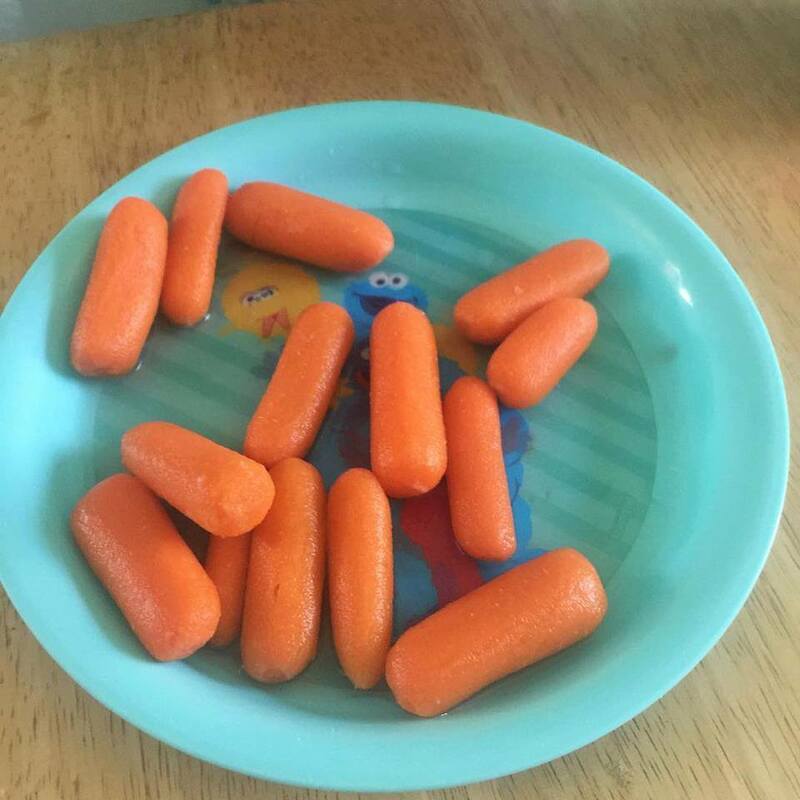 I came into the dining room one day to find my 5 year old and my 3 year old sitting at the table together with this plate full of baby carrots. They had gone to the fridge while I was in the other room and helped themselves. They still have no idea they are the ones being played. Vegetables and sneakiness for the win! ps – here’s 100 more ways to trick your kids into eating their vegetables! Hey Buddy!, I found this information for you: "How to trick your kids into eating their vegetables". Here is the website link: https://www.beautythroughimperfection.com/trick-kdis-eating-vegetables/. Thank you.